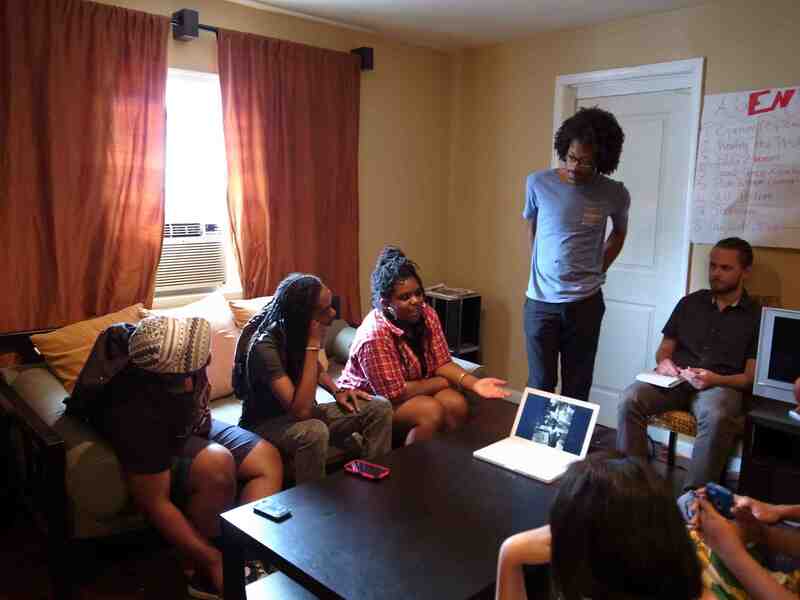 The D.C. Commission on Arts and Humanities and Critical Exposure is jointly offering a summer program through a partnership with Powell House, an arts and media youth development organization. Youth delve into photography technique and political education to explore their personal experiences with issues faced by D.C. youth. Critical Exposure alumni, Malik T., and Maya S., are facilitating this program as a part of our second Summer Youth Facilitation Institute. Left: Malik facilitates a "reading the photo" activity. Middle: Maya and Malik speak at Atlas Theater about their experience facilitating a program with Powell House students. 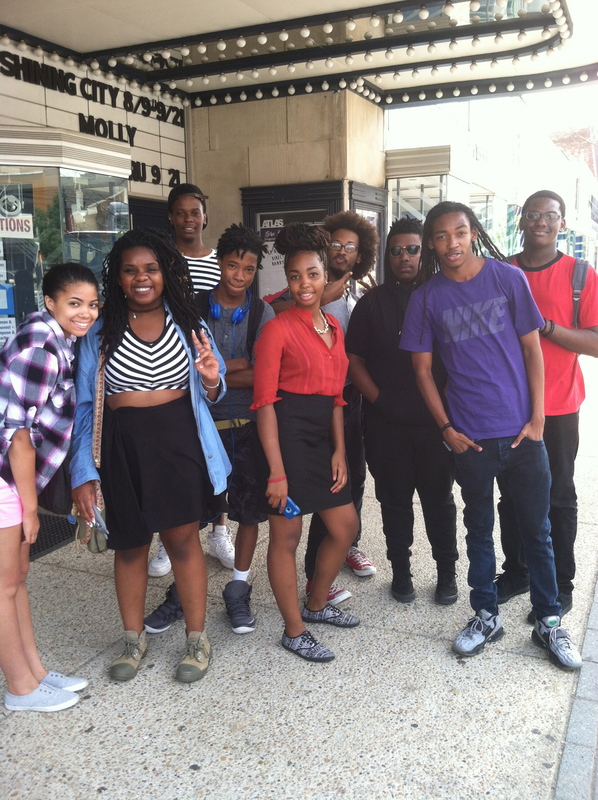 Right: Powell House students and Summer Youth Facilitators Malik and Maya pose at the conclusion of the program.